The Palm Beach Zoo Volunteer team is comprised of dedicated people from all across the country who are passionate about conservation! No matter where your talents lie we have an opportunity for you. 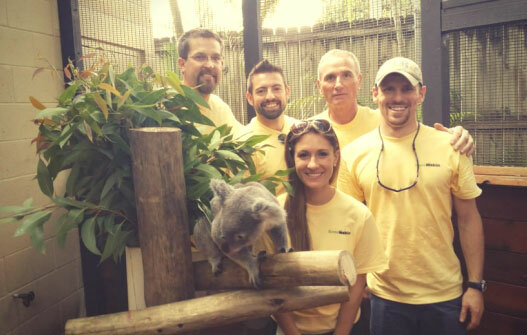 The Palm Beach Zoos mission is to protect wildlife and to inspire others to conserve the natural world. Through your help we can make that difference! Do you enjoy interacting with people and working outdoors in a natural environment? We have a variety of opportunities available for adults seeking volunteerism. Adult volunteers provide support in many capacities. Greeting and directing guests; sharing knowledge of our animals and conservation through interpretation; assisting in our Lorikeet Loft; working in the Butterfly Garden; ushering for Animal Shows; helping with Horticulture; office & organizational assistance; staffing special events and more! Be advised that the Palm Beach Zoo does not accept court-ordered community service. Adult Volunteers Apply Online Here! Have you ever wondered what is it like to work in a zoo? Do you like working with and meeting new friends? How about talking to people in small and large groups? If your answer is yes to these questions, then the Palm Beach Zoo may be a perfect fit! We offer two summer youth programs for ages 14-17. Are you looking for a great way for your group to get involved with the Zoo? If you are enthusiastic about wildlife and enjoy interacting with people of all ages then you belong in the Palm Beach Zoo - as a volunteer, that is!